Now now hair, time to freshen up your act. Our formula will leave your hair as clean as your innocent thoughts. With Australian Desert Lime. Reformulated for Men. For all hair types.Clean hair, clean mind?right? 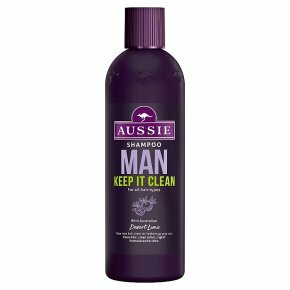 Our formula shampoo, with Australian Desert Lime, gets rid of grease and product build up, leaving hair as clean as your innocent thoughts. Honestly. Massage into wet hair. Scrub. Rinse. Fresh start.